Leroy Brown: What about our mama? L.B. Brown: [with a disgusted facial expression] Nasty ho. Q: How does Madea figure in this movie? Q: Is "Meet the Browns" based on a book? Q: What is "Meet the Browns" about? I was never "big" Tyler Perry fan, but at the same time, I've never been a "Tyler Perry Hater" either. I always give his films the benefit of the doubt, and I really enjoyed "Why Did I Get Married?" 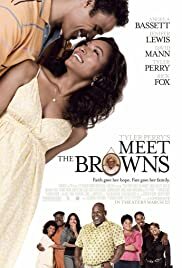 This movie though, "Meet The Browns," could have been an ABC Television Network After School Special. Everything about the storyline was cliché', formulaic, and predictable. The characters were CARICATURES of real people. I laughed here and there in this movie, but overall, I was vastly disappointed in this effort. 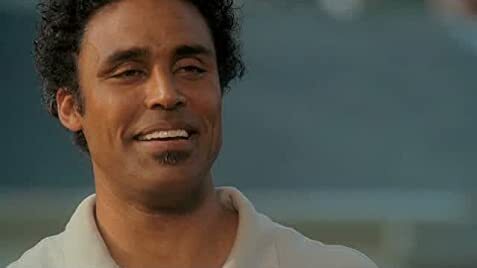 It's like Mr. Perry just "threw this movie together" without much thought.